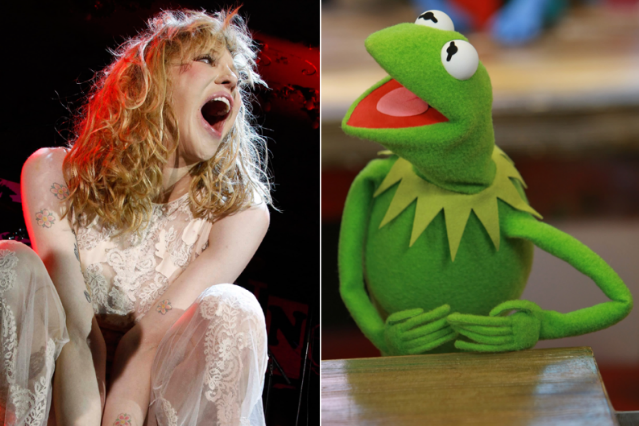 Deeming simple interviews and her Twitter account insufficient forums for self-expression, Courtney Love has taken her battle with the Muppets to the comments section of local blogs. The Hole singer left quite a lengthy note last week on a post published on New York City blog Gothamist nearly a month ago. The story in question documented her recent claim that the Muppets (and those who created their recent movie) had “raped” the legacy of her late husband, Kurt Cobain. We spied many of the same enraged typos on Love’s Twitter account, but it would have been easy to write this off as a fake (taunting Dave Grohl’s daughter is that ludicrous). However Love subsequently continued the diatribe via Twitter, calling out writer-director-actor Jason Segel, as well as Gawker (who, it seems, she believes owns Gothamist), Jezebel, and the Daily Beast’s Tina Brown for their reporting or lack thereof on the topic. Do we hear another few Twitter libel lawsuits on the horizon? There’s a good reason why Courtney might have been extra emotional in the past few weeks, however. Last Thursday marked the 18th anniversary of Cobain’s death, and she speculated about where her husband might be today. She’s also dealing with legal troubles ranging from said Twitter lawsuits to leaked deposition papers published in a recent book about her life.